If you are interested in any of the following classes and there are "none scheduled", contact one of the instructors and we’ll do our best to schedule a class for you. 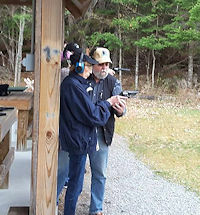 This course is classroom only which is required for your pistol permit application in Hamilton County and Herkimer County, NY. Live fire sessions may be available after you have received your pistol permit. Contact the instructor for details. To register for this class, click here. This is not a real time registration. One of the instructors will confirm your registration via email or phone. 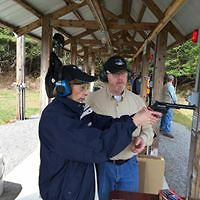 This course is the NRA Basics of Pistol Shooting class which includes class room instruction and live fire at the Long Lake Fish & Game Club range. 150 rounds of ammo (200 rounds recommended). To register for this class,click here. This is a live fire session. Bring at least 150 rounds of ammo (200 rounds recommended). A valid NYS Pistol Permit is required. and efficient use of a firearm for protection of self and family, and to provide information on the law-abiding citizen's right to self-defense. This is a live fire course. Bring at least 200 rounds of ammo. A valid NYS Pistol Permit is required. Pre-requisite: You must have taken and completed the Personal Protection Inside the Home Course. use a concealed pistol ethically, responsibly, and with confidence. You must have a .380 cal or larger pistol, no .22 cal allowed. Bring at least 250 rounds of ammo. This is a live fire course. Bring at least 250 rounds of ammo. A valid NYS Pistol Permit is required. use a concealed pistol ethically, responsibly, and with confidence. The live fire course will be conducted at the Long Lake Fish & Game range. You must have a .380 cal or larger pistol, no .22 cal allowed. Bring at least 300 rounds of ammo and an appropriate holster for your handgun. To register for June 22 class, click here. To register for Sept. 28 class, click here. This is a live fire course. A valid NYS Pistol Permit is required. Brief description of your past shooting experience including all types of firearms.